Somalia is grappling with its worst drought in 40 years. Minimal rainfall, widespread crop failure and livestock deaths have brought crisis to millions of Somalis now facing severe hunger, malnutrition and disease. The crippling effects of the drought are made worse by militant violence and a lack of response from an unstable government. More than six million people are in need of assistance, including the 1.7 million people who’ve been displaced across borders or into ill-prepared urban areas. 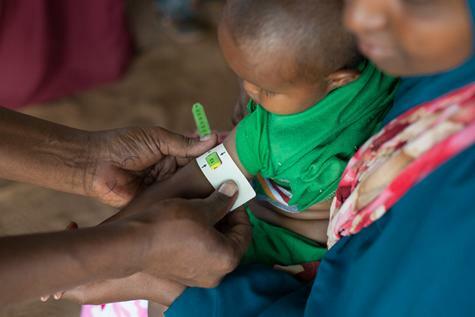 The situation for children is especially dire—over 360,000 children are acutely malnourished. In the face of a rapidly deteriorating humanitarian situation, we are called to be people of hope. 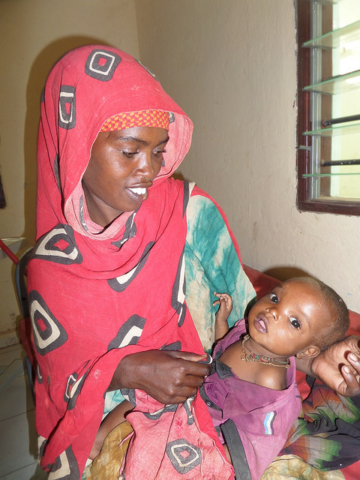 PWS&D is responding to reach the most vulnerable with essential food and nutrition support. As part of our ongoing Africa drought response, PWS&D is supporting partners at Canadian Foodgrains Bank to provide nutrition assistance for 2,700 malnourished children under the age of five and 2,760 pregnant or lactating women who are either malnourished or at risk of malnutrition. Therapeutic and supplementary food will be life saving—meeting nutritional needs and reducing vulnerability to disease outbreaks. The risk of famine in Somalia is now critical. This comes only six years after a devastating famine contributed to the death of more than a quarter of a million people—half of them children. Your support will help prevent another deadly famine from taking hold and will strengthen communities as they wait for rain to fall and peace to be restored. You can make a donation to PWS&D’s drought response in Somalia through your church, by mailing a cheque to the office, donating online, or calling 1-800-619-7301 x291.